Dog Walking Leash for Big Dogs. Made in USA. The perfect dog walking leash for your Big Dog. Dog walking is an adventure full of mystery and fun said few people ever. People need to learn how to tap into their dogs excitement when going for walks. It’s not just a dog walk unless that’s what you make it. It is true that walking big dogs can be a struggle when they are not trained well. It’s never fun getting pulled and tugged in every direction your dog chooses to go, but then that’s not the dogs fault is it? Walking your dog should at the very least, be fun for both. Training your dog to walk on leash is a must. This is key to insuring that you and your dog will always look forward to going on walks or hikes. 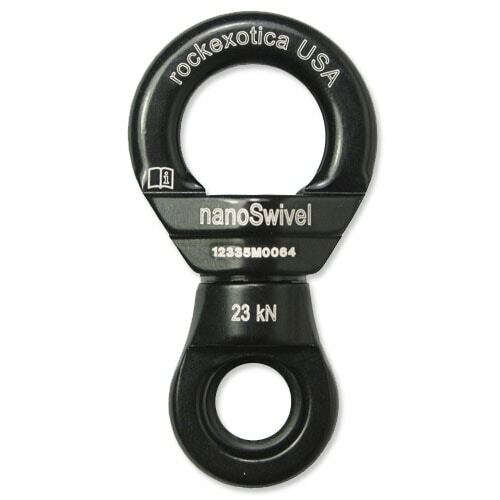 A Climbing Rope Dog Leash is a great choice for most medium to extra large dogs. The Milky Way Dog Walking Leash is one of our first dog leashes, and still a popular leash today. Built strong enough to last a lifetime and certainly worthy of most any big dog needing a quality leash. Many people prefer a four foot dog walking leash, this helps keep the dog close at your side for better control. The leash is also available in different lengths. 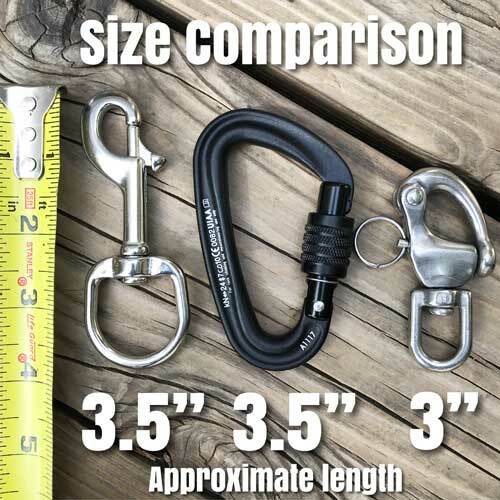 Options like our compact locking carabiner or carabiner and nanoSwivel combination are great for large to extra large dogs. Hikers may be interested in our handsfree leash sometimes referred to as a Jaeger Leash. We only use pro grade equipment to build our custom dog leashes. As an avid hiker and climber I appreciate quality equipment and gear. I want no less for my dogs and will not use lesser quality parts in the leashes built for our customers dogs. If you like our stuff, please tell your friends! 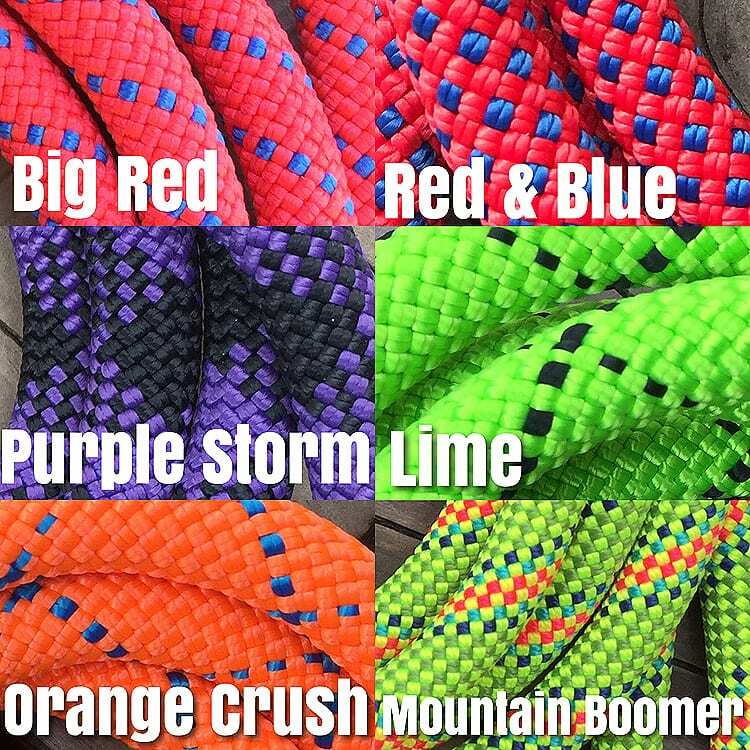 All of our climbing rope dog leashes are hand made in the U.S.A.
4ft Walking Leash built with 9.9mm Climbing Rope and Stainless Steel Clip. I never write reviews, and definitely not three years later - but the latter is exactly why I am here. I have an Alaskan Husky who goes everywhere with me: mountains, trails, swimming at the beach, wading through rivers... you name it. I bought this leash when I first adopted him, and 3 years later and this leash is still in perfect condition. I'm only back here for more leash options because honestly, I don't think I will never need to replace my first one. Thanks for keeping my pup safe for the past 3 years! I just received my new leash yesterday and took my husky for a walk today. Just wanted to let you know that I absolutely LOVE it. I am so glad I got the 4ft, thought it might be to short as she is a puller but I have so much more control of her now with the shorter leash. I am so glad I found your link on the Husky Haven facebook page. Have bookmarked your site for future use. Thanks again for such a great product and super fast shipping. Thanks Larri! We appreciate the awesome review!! 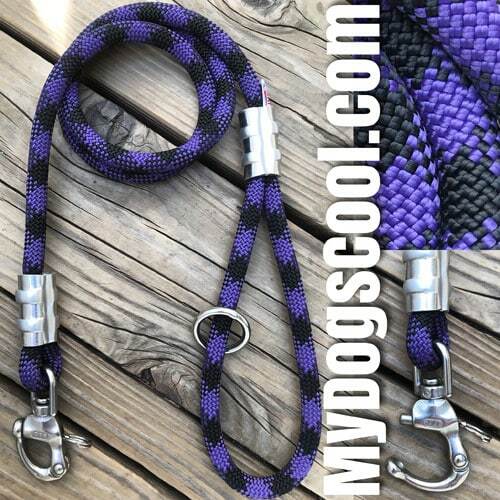 We try to make a quality product and trust that you and your husky will make good use of the custom dog leash. Hope to see some pictures of your husky on Facebook. Love it, love it, love!!! Ordered the Milky Way leash with standard clip and just love it! The quality and finish is really good - much nicer than anything I had seen in the shops. My Bernese Mountain dog loves it! Would recommend these leashes to anyone. The delivery and follow-up service was excellent too. Thanks Orla! We hope you and your awesome Bernese Mountain dog make good use out of the custom climbing rope dog leash. I ordered a 4ft and could not be happier. 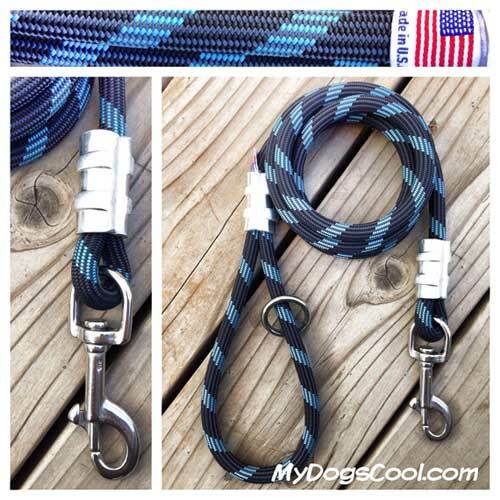 Not only was I impressed with the quality of the leash but I was pleased to see that it is made in the USA! While the leash is great for walking my dog, I have used it to hoist my yeti cooler into the truck several times. Thanks for a great product! I had a custom 8ft leash made with the stainless steel shackle. Its ideal when jogging with my lab. People are always asking where I got it. I'll be ordering a 4ft for regular walks. Well worth the extra money.